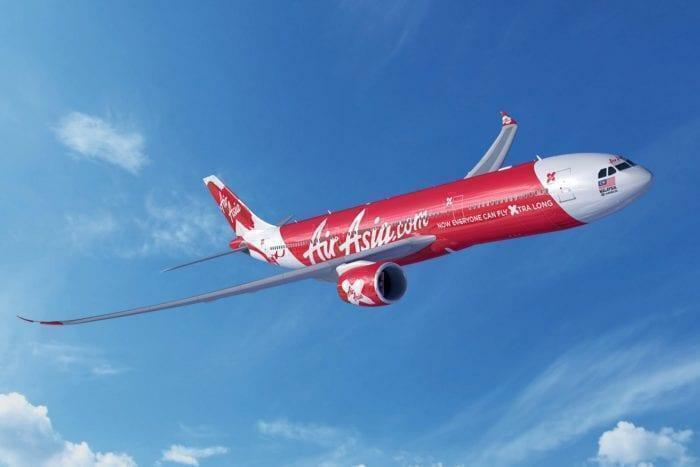 AirAsia, the continent’s biggest low cost airline is ramping up to offer long haul flights from Asia to the US with Air Asia X. It’s ordered a number of A330-900neos which the LLC is planning to use to fly Air Asia Tokyo to LA. This isn’t its first toe in the long haul market, and its last attempt wasn’t a huge success, but this time things look different. Air Asia X is a long-haul budget airline based in Malaysia and a sister company to Air Asia. It started up all the way back on 2007 with a flight from Kuala Lumpur to Australia, and currently flies mostly inside the continent. It does have one Asia to US service, but it’s Kuala Lumpur to Hawaii, which is more medium-haul than long-haul. But now, it’s aiming for the mainland, for LA and other West Coast destinations. Of course, Air Asia X was previously a true long haul flier. It use to fly to both London and Paris. The LLC first launched flights to London Stansted back in March 2009 and although it was popular, was badly timed. Passenger traffic to the UK from Malaysia increased by around a third in the first years, highlighting the untapped market. But the recession was looming and even after switching the route to Gatwick in 2011, the service wasn’t making money. Soaring taxes and higher jet fuel prices forced the service to fold and Paris soon followed due to a lack of market interest. Why will the long haul US Air Asia flights do better this time? In more recent years, the low-cost model has been better developed and this will help Asia Air X achieve success. Norwegian, in particular, has been growing at an incredible speed and has shown how it can be done. Offer exceptional customer service, get good ratings and invest in new aircraft – also ignore the naysayers and don’t let them get you down. The first step in Air Asia X’s bold move is the machines. Amazingly, it turns out Air Asia X has 100 Airbus A330-900 aircraft on order for delivery within the next year. The A300-900neo has a range of 7,200 miles – which is very decent but if we do the maths, we can see, it’s not super-long haul. So the question is, from its base in Kuala Lumpur, where on the West Coast can Air Asia X reach? LA is around 9,000 miles away. There’s nowhere less than 7,000 miles. Can you fly Air Asia Tokyo to LA? This is when the Air Asia X Tokyo to LA route comes into play. At around 5,500 miles, A Tokyo to LA leg would be entirely doable using an A330-900neo. With 5,800 miles, it could be from Osaka, but we assume it wants to do Tokyo. The Japanese capital could offer a great secondary hub to Air Asia X, opening up the entire West Coast market. While there are already plenty of Tokyo to LA providers, Air Asia X would be the first LLC offering the service. And if it takes a leaf out of Norwegian’s book, and concentrates on building up a good reputation, its piece of the pie could be considerable.